That’s an old magazine from the mid- or late 1980s. 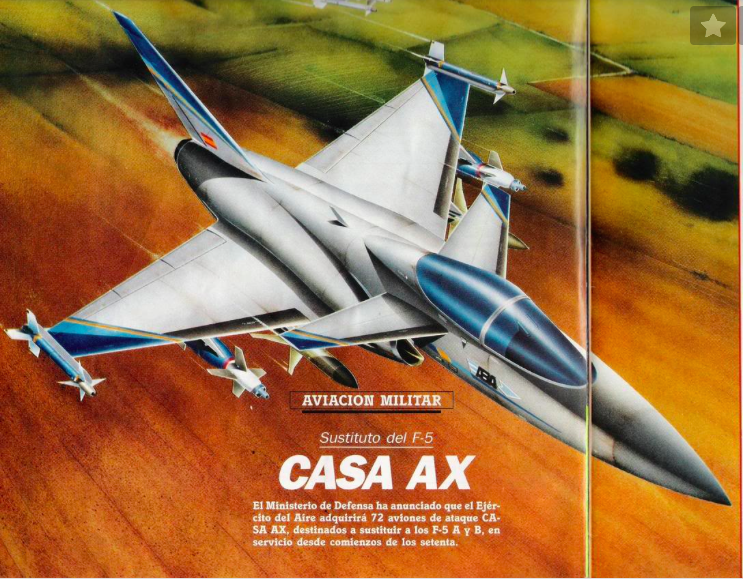 The lead-in paragraph reads: “The Ministry of Defence has announced that the Ejército del Aire will purchase 72 CASA AX attack airplanes to replace the F-5 A and B that have been in service since the early 1970s”. Well… the AX fighter never left the drawing board and 30 years later F-5s are still being used daily by the Spanish air force.